The Penthouses at Empire at Norton are truly where luxury and inspiration meet. 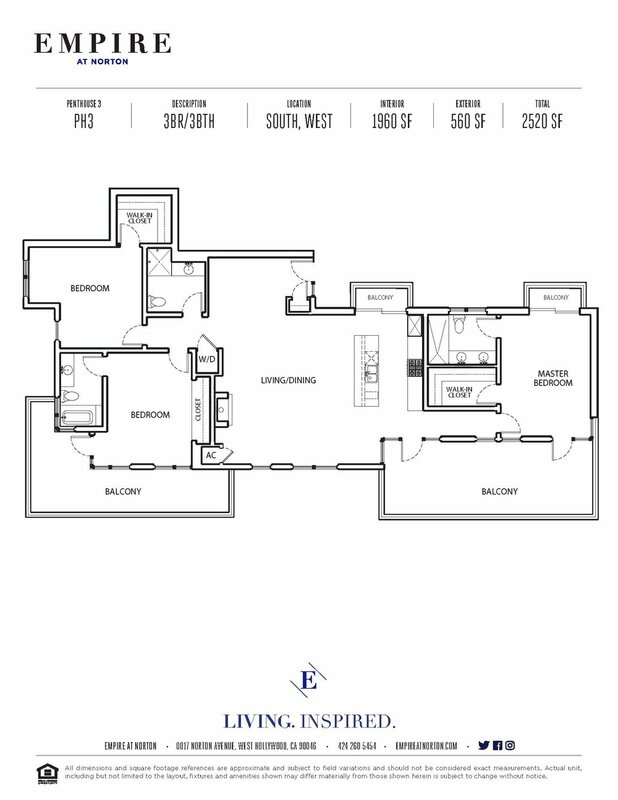 Starting at $9500* per month, Empire at Norton offers three unique 3-bedroom floor plans to choose from. Magnificent views greet you from every room. Modern kitchens flow into open concept dining and living spaces. Spacious bedrooms and spa-like bathrooms beg you to relax and unwind. Large private terraces invite the outside in, creating countless living and entertaining possibilities. 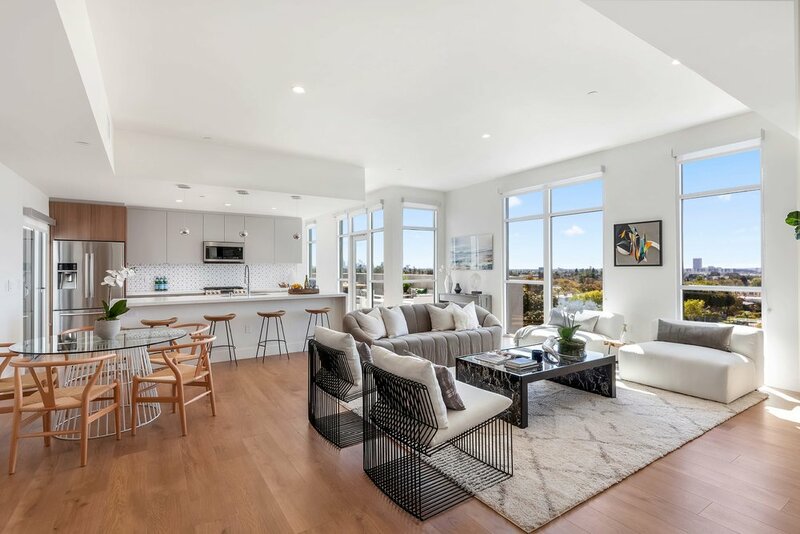 Details matter… 10 Ft ceilings, floor to ceiling windows, marbled quartz countertops, designer cabinetry, Samsung appliances, gas fireplaces, ample storage, Nest thermostats, NOON lighting solutions, smart keyless entry systems, in-unit washer/dryers… just to name a few. 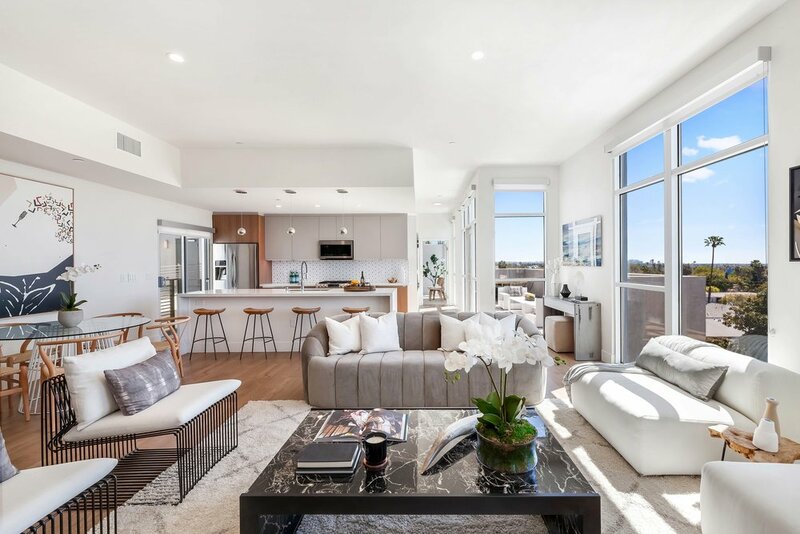 Tucked away in an idyllic West Hollywood neighborhood, The Penthouses at Empire at Norton offer iconic night life, fantastic shopping, and celebrated foodie havens within easy reach. With amenities like a state-of-the-art fitness room, business center with TV lounge, gated pet-walk & pet wash station, and an expansive rooftop terrace with a plunge pool, outdoor kitchen, alfresco dining and lounging areas, and a cabana TV lounge, staying in has never felt so indulgent.